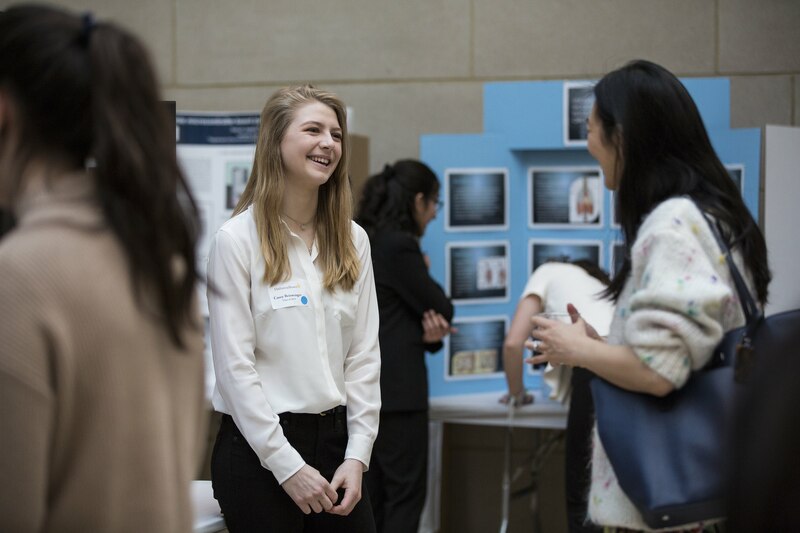 Hathaway Brown School held its 20th Annual Poster Session & Reception on Tuesday, March 6, in the HB Atrium. 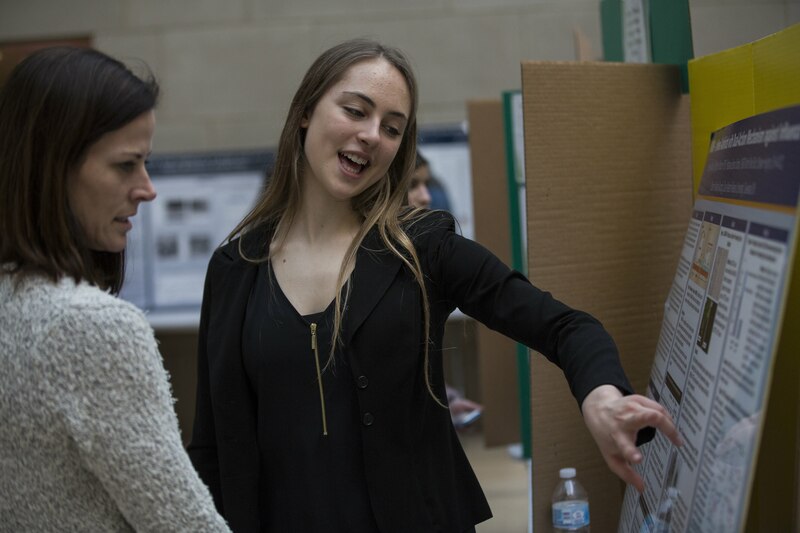 Nearly 150 students presented work on research ranging from independent background literature reviews to research that has been ongoing for almost four years in disciplines covering archaeology and medical projects to physics and polymer sciences. The Science Research & Engineering Program also celebrated its 20th year and recognized six researchers who have supported the program for much of this time and mentored multiple students, including C.C. Liu, Ken Singer, Kim de Groh, Bruce Banks, Bela Anand-Ape, and Harvey Webster. 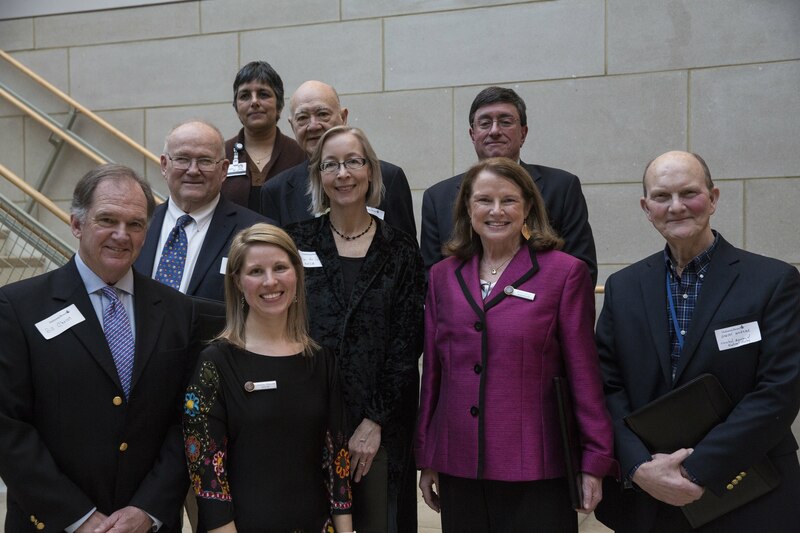 Bill Christ, 13th Head of School, and Patty Hunt, Founding Director of the SREP, were also recognized as Co-Founders of this breakthrough experiential scientific program that came about through their leadership in 1998. 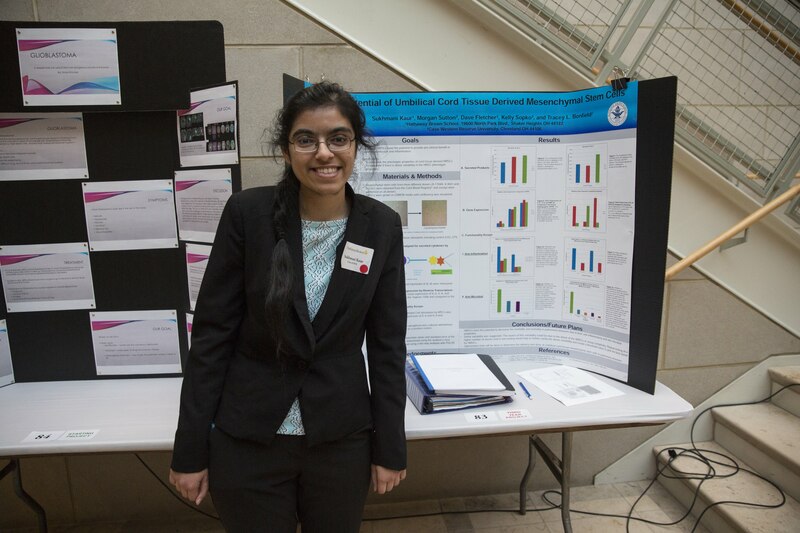 Based on extensive judging from both internal faculty and external scientists from Case Western Reserve University, the Cleveland Clinic, and NASA Glenn Research Center, the top three projects from the Poster Session were selected as Finalists to attend the Intel International Science and Engineering Fair (ISEF) from May 13-18 in Pittsburgh, PA. This is largest pre-college science event in the nation and more than 1,500 student finalists from local and regional fairs from roughly 70 countries and territories arrive to compete at ISEF for scholarships, tuition grants, internships, and scientific field trips and have an exciting week of networking and activities. In addition to these high-stakes awards, a number of special awards were also won by Hathaway Brown students at the Poster Session in recognition for their research efforts. Each winner received a certificate and many awards were also accompanied by cash prizes, gifts, or medals of recognition.